Radical Northwest is owned and operated by racing veterans Steve Cameron of Cameron Racing and Anthony Ward of Award Motorsports. In addition to managing successful race teams, both are accomplished drivers with championship titles and multiple race victories between them including at the 24 Hours of Daytona and 25 Hours of Thunderhill. Cameron has also coached race car drivers such as Indy 500 winners Buddy Rice and Sam Hornish Jr., Champ Car drivers Memo Gidley and Michael Valiante, and NASCAR driver Michael McDowell. 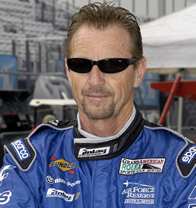 Steve Cameron brings more than 30 years of Motorsports experience as a driver, team manager and driver coach. As a driver he has two Daytona 24hr class victories to his credit, runner-up in the U.S. Formula Atlantic Championship and a NZ Championship title. He has driven almost every type of road racing car possible, including: GTP, GTO, Atlantic, Indy Lights, Formula 2000, Formula Ford, S2000, Sports Racers, Koni Cup, Historic Can-Am, Historic F1, Vintage Lotus sports cars. Steve has worked as a test and development driver for teams, car manufactures, and tire companies such as Raven Race Cars, Star Race Cars, Yokohama and Ohlins. As a team manager, Steve has put together championship and race-winning teams for several high profile organizations. Lynx Racing dominated the Formula Atlantic Championship for 10 years with numerous race wins and driver championships. Finlay Motorsports won in the prestigious Daytona Prototypes class in its first year of competition. Drivers who have been coached by Cameron include Indy 500 winners Buddy Rice and Sam Hornish Jr., Champ Car drivers, Memo Gidley, Michael Valiante and NASCAR driver Michael McDowell. Anthony is an entrepreneur that has great success in both the business world and Motorsports. After founding and building an equipment leasing company of 150 employees from 1978 to 1998, He is now diversified into multiple commercial and residential real estate investments. Anthony's race career is equally impressive, having multiple wins at the Thunderhill 25hr event as both a driver and team owner. As a driver he has victories in Karting, Spec Miata and Porsche Gt3 cup cars. He has also worked as a driving Instructor for 8 years at the Jim Russell Racing School and regularly drives the Pace car at Laguna Seca. Now Anthony’s attention turns to building his partnership in Radical North West with Steve Cameron. With his business skills and race experience Radical North will undoubtedly grow to be a dealership that offers Radical owners and drivers a truly professional organization in all aspect of sales, service and racing.